A package programme that will cover Portfolio Preparation and Presentation techniques, and English Language education is also offered for prospective students preparing for the aptitude exams of fine arts, design and communication departments. At this programme, while finding the opportunity to improve their Portfolio Preparation and Presentation techniques, the students will also be preparing for the English Proficiency Exam. 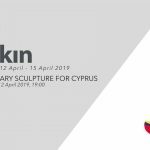 Associate Professor Alev Adil, Arkin Center for Art&Design Director said “Arkin Center for Art&Design is here to meet the cultural information and personal experience needs of the society where every generation is represented. We offer lifelong courses for everyone who want to awaken their creative talents, no matter how old they, or what their educational background and skills may be. Our University, which boasts the most technologically advanced glass workshop of the island, is currently home to a total of four workshops (Printing Workshop, Glass Workshop, Ceramic Workshop, Wood Workshop), six studios (Animation Studio, Photography Studio, Painting Studio, Digital Production Studio, Design Studio, Basic Art and Art Drawing Studio) and three laboratories (Mac Laboratory, PC Laboratory, Fab Lab). With the support of these wide range of facilities we offer our coursiers an education in a lively and inspiring environment at our Kyrenia Campus”. In addition to offering certificate course programmes that provide professional and personal education required by the society and workforce, Arkin Center for Art&Design is also in possession of an infrastructure needed in the areas of art activities, design products and communication.